June 2014 – He Said What?! Aaron has always been easy to please when it comes to food. He’s never been a very picky eater. You can tell that by looking at him. 🙂 Probably his very most favorite food is lasagna. He loves, loves, loves lasagna…….pretty much on a scale with Garfield. 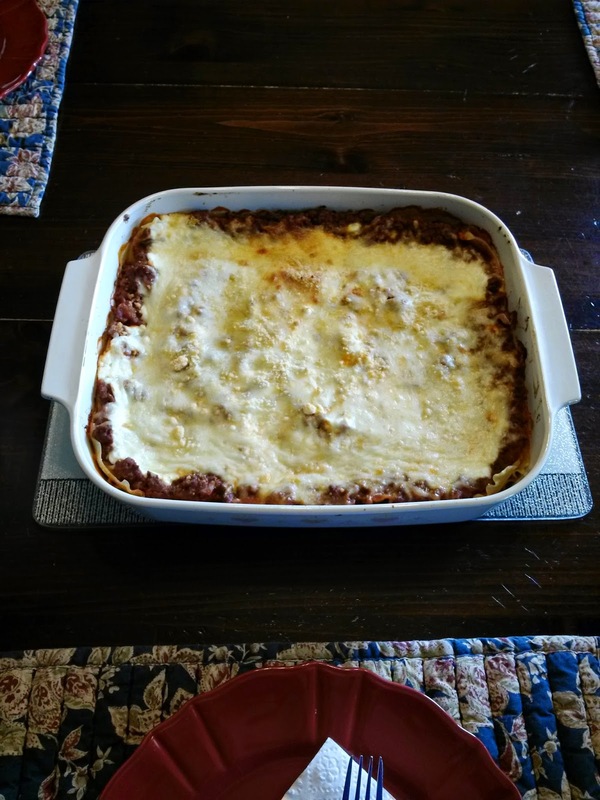 In fact, I found a new recipe last weekend for Garfield’s Skillet Lasagna. It looked so delicious that I decided to try it. I cook mostly low carb but an occasional treat like lasagna never hurt anyone, right? Especially Aaron! He peered down into the large electric skillet that held the Skillet Lasagna. He backed up then, like he does when he sees something new and suspicious. He kept staring. Then he finally spoke. That was it. I knew we were in trouble. Therefore I embellished the wonderful attributes of this new Skillet Lasagna. The hamburger……the tomatoes……the seasonings……the noodles……the CHEESE!! But Aaron left the kitchen deeply disappointed because this new dish was not the lasagna that he loves. Skillet Lasagna is not Oven Lasagna. Period. He ate the Skillet Lasagna with Gary and me for supper that evening. He liked it, but he didn’t love it. Skillet Lasagna just wasn’t Oven Lasagna. I had to agree with him on that, though I didn’t let him know it. The next day Aaron stayed home because we had a meeting here at the house with a coordinator for his new state insurance. After our meeting was over, as Patrick and I stood on the porch talking, Aaron bounced out the front door with a question. I explained the story to Patrick as he laughed, and I told Aaron that we weren’t having lasagna that night……..Skillet or True Lasagna. But yesterday, Friday, was a different story. Aaron was having a good morning because he knew that his day group was going to go see the new Transformer’s movie. He was happy and compliant. He also knew that he would get his Friday surprise if his last weekday went well. This day was looking good! I laughed as I told him that yes, I would fix normal lasagna for supper. No more of that silly Skillet Lasagna that is far from normal. Having things normal is very important to Aaron. Of course, sometimes his normal is anything but………to us. But not to him. 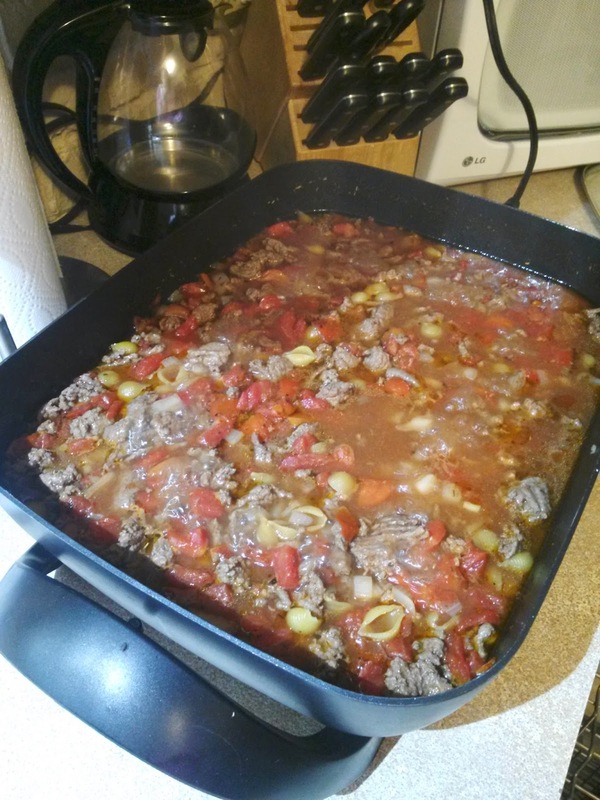 So this week Skillet Lasagna vs. normal Oven Lasagna was an issue to our Aaron……and therefore to me, the cook. Such a minor thing, except to Aaron. Don’t mess with Aaron’s normal! Especially not his normal TRUE lasagna! Another lesson learned in life with Aaron. When Aaron watches a movie he doesn’t just watch the movie. He also looks at YouTube movie clips of the movie that he’s watching, over and over and over. He does the same thing with games that he’s playing. YouTube clip after YouTube clip of his games is watched again and again by him. I don’t mind him doing this. It wouldn’t matter even if I did mind because Aaron would do it anyway. What I do sometimes mind is how he wants me to watch these movie or game YouTube clips over and over as well…….with him hovering over my shoulder, bending over and rubbing his hands together in sheer delight……or clapping in my ear…..or squealing with laughter. I mean, really, 99.9% of those clips are totally uninteresting to me. Aaron, however, doesn’t care about my disinterest…….or discomfort……or total boredom. Nope. All Aaron cares about is that he cares about those various clips, and so he thinks that Mom should care as well. I figure it’s a small price to pay for Aaron’s happiness. And trust me, a small movie or game clip is far, far, far more tolerable than watching a whole entire movie like Sharktopus or the super vortex movie that was German dubbed in English or the Japanese dubbed movie that Andrea and I endured…..I mean, watched…..with him. I’ve paid my dues. YouTube clips are what I endure…..I mean, watch…..now. And my slow brain thankfully realized that he meant the clip was 10 minutes and 59 seconds long. That’s when I told him that I was NOT enduring……I mean, watching…..this clip for the entire 10 minutes and 59 seconds. He understood, knowing that he at least had me trapped for part of that 10 minutes and 59 seconds, and he was happy. I was not. Not until I had endured……..I mean, watched………enough to make him happy. I don’t remember how many seconds it took for me to endure…..I mean, watch……that clip until he was satisfied. Aaron probably knows, though, down to the second. Sometimes it’s the action that he wants me to see. Sometimes it’s a certain character. And other times it’s the music. Yes, he loves the varied forms of music that he hears on some of those clips. Yesterday it was Star Wars Republic Commando. “Mom, can you look up Star Wars Republic Commando?” he breathlessly asked me. I put him off for awhile, but finally I gave in so that I could have peace once again. This time I stood beside him at his desk as he found the certain clip and then clicked the play button. There on the screen were little baby clones. Cute little baby clones, newly cloned and so…….new. The music was soft and sweet, just like you’d expect for this scene of new little baby clones. Aaron knew that those were violins softly playing, and he smiled broadly as he listened. Soon the scene changed. I guess the baby clones were older now. I couldn’t tell, but I wasn’t about to let Aaron know that. I didn’t want a baby clone lecture. With this new scene came new music, more upbeat and faster. Again Aaron smiled, and then rubbed his hands together in excitement. And we had a long discussion after that as he followed me around the house……a discussion about tiring music vs. heavy music. And I thought about how lullaby type music really is tiring music if it’s able to make a new baby clone get tired enough to go to sleep. Yesterday evening, as we were cleaning up after supper, Aaron told me that he wanted me to look at yet another YouTube movie clip. Sigh. This time the clip was from Transformers…….Optimus vs. Megatron. “Can we look it up on your laptop when we sit down to watch Wheel of Fortune?” he asked me. And Gary, smiling at me behind Aaron’s back, asked Aaron if that was 30 minutes. Look at 3:09 and tell me if he’s right. Sometimes truer words were never spoken. But yet, most of the time Gary and I DO understand him……which is even scarier sometimes than if we didn’t understand him, if you know what I mean. Are you guys smiling behind my back? Gary and I returned home last Monday after being gone for a week of vacation. That’s a long time to leave Aaron and our Great Dane, Jackson, with caregivers. Aaron loves the times that we leave because he gets to have others here with him, which means a change of pace for him. He gets to eat out more, which he doesn’t need but which he does love. He has someone to watch movies with him at home from his movie collection or a movie that they rent. He and his caregivers might go on walks or go shopping……just normal things, really, but to Aaron they are more fun when shared with someone different. More fun up to a point…..and I think Aaron reached that point on Friday, and again on Monday at his day group. He acted out a lot, being verbal and very angry. Gary and I were actually dreading coming home, thinking we would have a rude awakening after such a wonderful time with family and with each other. But Aaron was very happy to see us. He called us several times every day that we were gone, but having us home was even better. How did he show that it was better? Well, first of all, he gave us hugs!! That was awesome! And not just one hug, but several hugs spread out over the evening. He was affectionate, on his terms, and it was sweet to experience. He also followed us all around, talking and talking. He had happy talk of his time with Katie and then with Steven over the weekend. He talked about what he ate, and where they went, and the movies they watched, and everything in between. He followed us all over the house, and then followed us outside when we went to check the garden. The dirt was a little soft from the recent rains, but not muddy, so I walked in to take a look at everything. Of course, Aaron followed, never missing a beat in his monologue. His movie of the moment was The Blob, so most of what he said was Blob related. He kept asking me questions about the Blob for which I had no answers, like exactly what is the Blob. Finally he decided to analyze the Blob himself. “The Blob is just the size of water,” he said…..and I agreed without telling him that water doesn’t really have a size. Instead I relished the way that Aaron sees the world, even the Blob. We were both happy to move on to other things as we walked around the garden and I showed him some beans, as well as some zucchini and summer squash. Aaron noticed the soft soil, though, as he notices everything. “Mom, this sand is sinkable!” he exclaimed as he walked around. He wasn’t as chipper as the evening wore on. It takes awhile to get things back to normal when you’ve been gone that long, and Aaron was ready for normal right then. I had asked Aaron several questions about different matters, knowing that we have to be slow and careful with our questioning. Finally, as we were getting his room ready for him to go to bed, I remembered that I needed to get the monitor out of Andrew’s room where Steven had stayed. At first I didn’t see it on the other side of the bed, so without thinking I asked Aaron where the monitor was. And so much for that, I thought. Our week of re-entry into our real life with Aaron has had its ups and downs for sure. Aaron has changed a lot over the past year. He’s not always fun, funny Aaron. He never has always been fun or funny, but he’s more volatile now than he used to be. He has more anger now than he used to have. Age? Medicines? Influences? We don’t really know. Gary and I have taken three trips recently, and it’s been so nice on several levels. We realize how refreshing it is to get away……to be a couple……to have freedom to enjoy what we want to do……to enjoy our other children without Aaron interruptions. Does that sound awful? I watched Aaron walking in front of me the other morning as we left Dillon’s. There went Aaron, his bag of cheddar pasta salad and his croissants in hand. He was large and in charge, so typical of him. I realize what a large part he plays in Gary’s and my life. Some positive…..some negative. And I read an article this week, written by a dear mother of a child with special needs. Her child, a girl, is still young and is very sweet………or else this mother chose on this day to just write about the sweet. After reading that article, I wanted that little girl to come live with me! This mother was talking about never wanting her daughter to leave……never wanting to be without that sweet little girl. I look at Aaron, like this evening on another trip to Dillon’s. His passing gas noises as we checked out, his incessant loud talking, his whistles as we leave the store………where he tells me once again that at least he wasn’t making the farting noises. How many times have I heard that? And how many times has he heard me tell him to stop? I see people look at Aaron, and it’s not like looking at a sweet little special needs girl who smiles at them and makes them feel warm all over. Large Aaron is looked at with curiosity, to say the least…….especially when that gassy noise passes his lips………..at least I hope people know it came from his lips. Oh well. My mixed emotions are normal, I know. I love Aaron and I know that he is ours to raise. Ups and downs, good and bad, demanding and pleasing……it’s all part of this life. God gives grace, and I know He will give direction to Gary and I as we face Aaron’s future, and ours. He didn’t see me smile, and he didn’t know how delightful yet another saying of his was to me. Just like he doesn’t see my heart and know how much I love him…..even when I don’t exactly like him. And here’s what he said last night as I walked into his room just before bed. He was finishing a movie, and those of you who know Aaron know that Aaron finishes a movie by watching the credits and everything else that scrolls down that screen….to the very bitter end, when the screen is either dark or goes back to the home screen. Every. Single. Word. He watches it. “That was a short movie at the ending,” he said. “The movie was short?” I asked for clarification. And I’m left to ponder what he just said, to realize its brilliance in an autistic kind of way, and to laugh…….behind his back, of course. See what I would miss if not for Aaron? I had a huge reality check this morning as I read a chapter of the book The Message of Philippians by J.A. Motyer. The apostle Paul was imprisoned when he wrote the book of Philippians. He was suffering unjustly and painfully, simply for believing in Jesus and proclaiming the gospel. He had suffered so much over the years in every area……physically, mentally, spiritually. So here Paul sat in prison and what does he say? Motyer gave the visual then of Paul holding up his chained wrist, but instead of pointing at his chafed wrist he makes us look at what effect those chains are having in his own life and especially on the work of Christ in others. The guards are hearing the gospel…….others are hearing the gospel……..the brethren are gaining confidence……….believers are becoming bold. And I thought about myself, and the puny little trials that I have gone through. 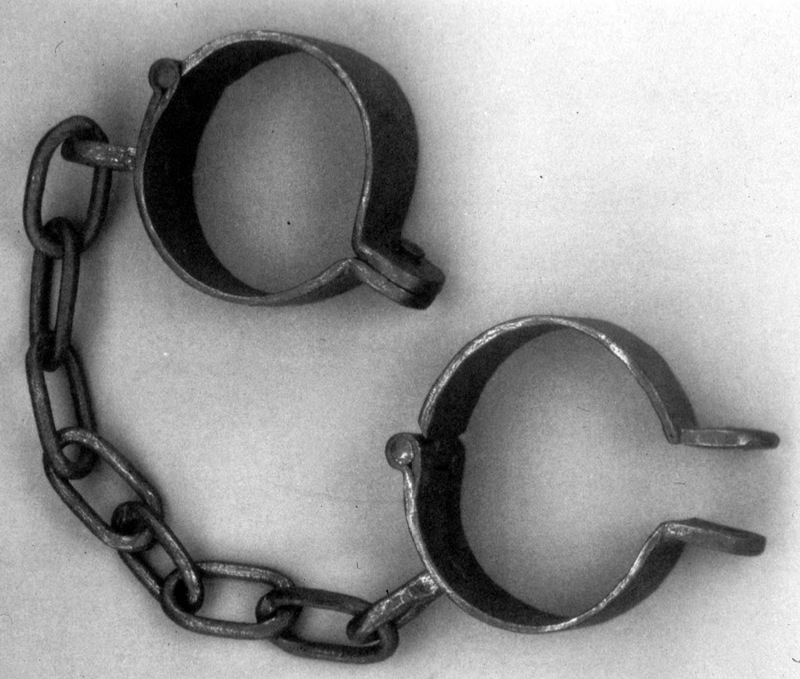 What do I often do when I hold my chained wrist up? I know me, and I’ll tell you what I find it so easy to say and do. I point to my bleeding wrist and I talk about my pain. I wonder about why this or that happened, even when I know God is in charge. I concentrate on the pain that my chains are inflicting on me. I focus on the injustice and the ones who are responsible. In other words, I so often do everything but what God wants me to do. God wants me to look through the links of that chain into His eyes, and to trust Him totally. He wants me to see Him instead of the chain. And more importantly, He wants me to point others to what I see as I look at Him. I see His love and I trust His character, and He wants me to talk about that instead of pointing to the chains. It’s not about me, as much as I want it to be. It’s not about proclaiming my pain or the wrongs I may have suffered or the hurt I am enduring. It’s so easy to do that, though…..to focus on me and on the suffering. There is actually a strange kind of comfort in that attitude, but it’s so wrong. Even when God directly answers prayer I sometimes cringe, pull back in pain, and then act surprised by the route God has chosen for me. Whatever the issue is in my life, I need to realize that God wants to be honored in it……..not questioned. It takes time and practice and great trust to accomplish that attitude, which unfortunately sometimes means more time in the trial. More time with those chains around my wrist. So I hold up my wrist to others, and what do they see? They see what I focus on……what I talk about……..what I point toward. Will I be Paul and magnify Christ with my chains? It’s not easy. It takes resolve to change my focus. Every single day, many times a day, I know I must refocus my eyes. My hurting wrist……the rusty chains…..the ongoing pain. Whether it’s Aaron issues or hurt from others or sadness from those I love who are suffering or worry about our loved ones………it doesn’t matter. God is there. He has a plan and a purpose. Now…today…this moment – holding up my hands to God and not even noticing the chains. That’s my desire. Today is my birthday. I’ve been enjoying special messages and phone calls and cards and gifts. It’s wonderful to be remembered on this special day, even though I don’t expect all that kind attention. But on this one day, this day of my birth, it really is nice to know that I am thought about and loved. I’ve heard from friends, some old and some new…….even some that I have never physically met. Facebook has opened up some friendships with people that I feel like I know well but have actually never seen face to face. I’ve had messages from friends that I have known from all the different places that we lived during our military career. Of course, I’ve also heard from family in various ways today. The person I have not heard from today, and that I know I will not hear from at all on this special day, is the woman who is responsible for this day of my birth. My mother. I no longer expect a card from her, or a gift, or even a call. The woman who gave birth to me no longer even remembers that day years ago that she came in from mowing the lawn while Dad was at work, and ended up in labor at our local hospital. Not only does Mom not remember that day, she no longer remembers me. 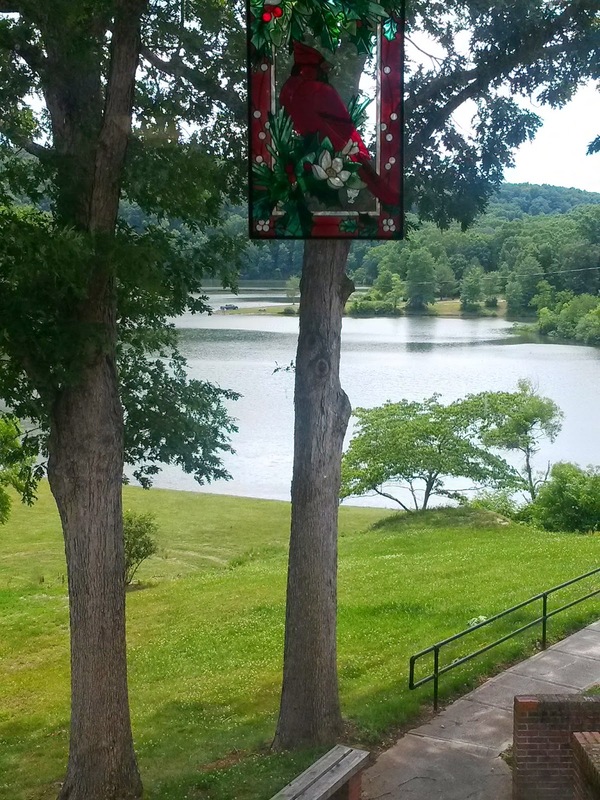 Gary and I went home to West Virginia last week for a brief visit. It had been far too long since we had been home to see family. It was past time to go. And it was also past time for my mother, who has Alzheimer’s. I knew from what family said that Mom wouldn’t know me. To experience that reality, though, is far different from just hearing about it. 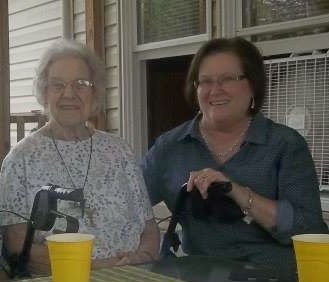 Jeanie, my sister-in-law, took Gary and I to see mother at her assisted living home. She lives in such a beautiful setting in those West Virginia mountains. We’re all thankful for the good care she receives there and for how happy she has been……she and her precious cat, Princess. We walked in to her apartment with Jeanie just as Mom was coming out of her bedroom, pushing her walker in front of her. Mom realized that somehow she knew Jeanie, although she doesn’t really know how she knows Jeanie or who Jeanie is or what her name is. But as for me and Gary…….there was hardly a glance in our direction, for Mom had other things on her mind as soon as she saw Jeanie’s familiar face. She and Jeanie talked for a minute, and went to check on Mom’s concerns, with still no notice of Gary and me. When they returned to the living room, I went over to Mom but still she didn’t have any reaction to my being there. No hello…..no “How are you?”………no “It’s so good to see you.”……..no hug…….no emotion at all. And certainly no recognition. I patted her shoulder, wondering if I should hug her, and still she hardly acknowledged me. Jeanie and I sat on the couch, Gary sat on the recliner, and Mom sat in her chair with the ottoman in front where she could lift her legs, her feet somewhat swollen. It was then that Mom seemed to realize that we were there and that she didn’t know who we were. I felt strange, as if I had entered the home of a casual acquaintance or was visiting a shut-in for church or something. I didn’t really feel like I was sitting with my mother whom I hadn’t seen in way too long. It was the first time in my life that my mother had not seemed glad to see me. There was no rudeness, just distance and unfamiliarity. 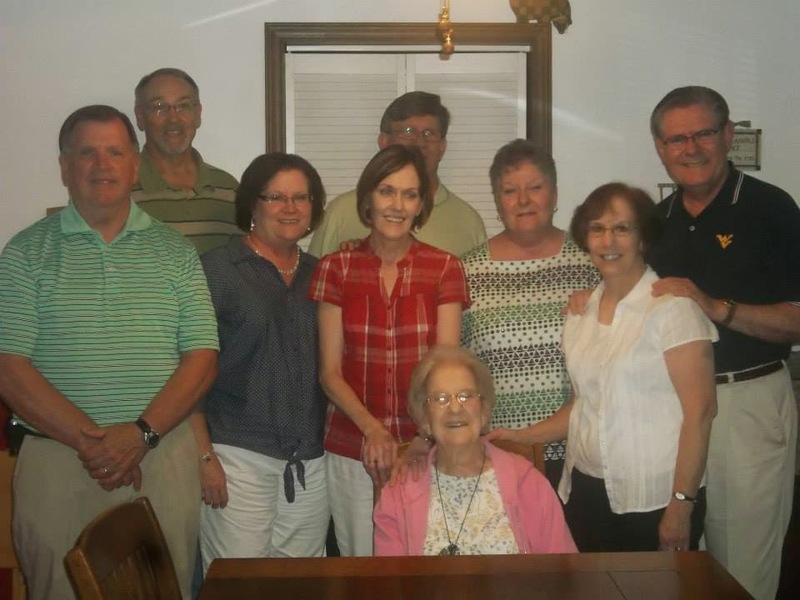 Mom was so polite, so gracious to these people that she didn’t know. Again that feeling of unfamiliarity hung over the room. Here sat the woman that I had known for my entire life, who loved me like no other…..like a mother loves her child………yet who at this moment was puzzling over who we were and why we were there. She talked about her concerns over her colitis issues, although she doesn’t understand that it’s colitis. To her this is new and serious and has never happened before until recently, and so Jeanie kept assuring her that Dr. Pam knew all about it and that there was no cause for alarm. I listened to Mom as she tried to talk about other things as well, seeing that many words were lost to her. Common words like window or cat or bed. She struggled to express her thoughts in every area because the words escaped her, and I could tell that this frustrated her. She knows that she doesn’t know, to some extent, but the ability to bring up the correct words is largely gone. “I’m Patty, your daughter,” I’d hear myself telling her. Telling my mother that I was her daughter…….how odd. I was prepared for this. I wasn’t really surprised, but still that feeling of unfamiliarity was hanging over the room like an unwelcome presence. It dawned on me as we repeated the introductions over and over that what I wasn’t prepared for, totally, was that when we told her who we were……….when I was identified as her daughter and Gary as my husband…….that she basically showed no joy at that revelation. Again, she was polite and she smiled and even showed some surprise……but she didn’t show the joy that a mother would show at seeing her long absent daughter. The connection to that emotion was gone. Again, unfamiliarity. “Your voices just sound like someone I should know,” she said several times as we talked. And she would again shake her head, trying to piece together in her mind what she very vaguely remembered but what was mostly lost. She was especially fascinated with Gary, more so than with me, and this made us smile. “You’re so tall and so handsome,” she said to this new man in her living room. “Now who do you belong to?” she asked him. Gary would point to me as his wife, and Mom would look at me and say, “So you’re his wife?” I laughed and wondered why she was surprised. She wanted to know, over and over, if Gary worked. “What is it you do?” she would ask. And over and over, in various ways, he tried to answer her question as simply as possible. Later, as we got up to leave, I hugged and kissed this dear woman who is my mother…….though she didn’t know that she is my mother. That evening, we picked her up for church. Jeanie had asked me to curl Mom’s hair. Mom sat in her chair as I carefully rolled her fine, baby-soft hair around the hot curling iron……so fearful of burning her. I thought of how many times this dear woman had no doubt curled and cut and combed my hair. Now here I was, doing the same for her…….except she had no idea who this nice woman was who was fixing her hair. It was a sweet time, mixed with the bittersweet. My mother and I…………the once cared-for now doing the caring. We walked into the church foyer, Mom rolling her walker in front of her. Her body is more stooped and frail now, which makes her even shorter than she always was. She motioned for me to lean down close so that she could say something to me. She pointed to John and said, “Look at that one. I think I should know him.” I just smiled as I told her that that one was John…….her son. The preacher. And she was surprised and she smiled at that news……….as she has now for months when she is once again told that the preacher is her son. John later motioned for me to come over. He told me that Mom had come over to him, pointed to me, and said to John, “Look at that one. I think I should know her.” So we laughed. Poor Mom. That one……and that one……and that one. Who are all these people that I think I should know? The familiar is now so unfamiliar, yet she is aware that she should know. The next day we had a family gathering at Bob and Jan’s house. It was a wonderful time of talking and laughter, of catching up with each other and enjoying time together. Mom still asked who that one was or who that other one was, but eventually she just settled in to enjoying the commotion and the conversation. As the day wore on, I came to the conclusion that Mom doesn’t really even know what the word “son” or “daughter” or “grandchild” means. I don’t believe the relationship those words conveys really registers with her anymore. She, in typical Mom fashion despite her lagging mind, called a little family meeting in order to talk to us about her colitis concerns………though she didn’t refer to it as that. She just told us that this worries her and she thinks it might be the end of her, but then she showed that spirit she’s always had as she firmly said, “But I’m not going to let it get me down!” That’s our mother! We sang hymns, which I want to write more about in another blog. It was incredibly sweet and touching to all of us. And before I knew it, I was hugging my mother good-bye and kissing her soft cheek. She had no clue whom she was kissing or why, but she welcomed the love and she returned it to this woman that she no longer knows. And she once again noticed Gary before she left to return to her apartment…….that tall, handsome man. “Now, are you married?” she asked one more time. We think Mom has her eye on Gary! My dear little sweet mother. She doesn’t remember Dad. At least she is not grieving his death anymore. 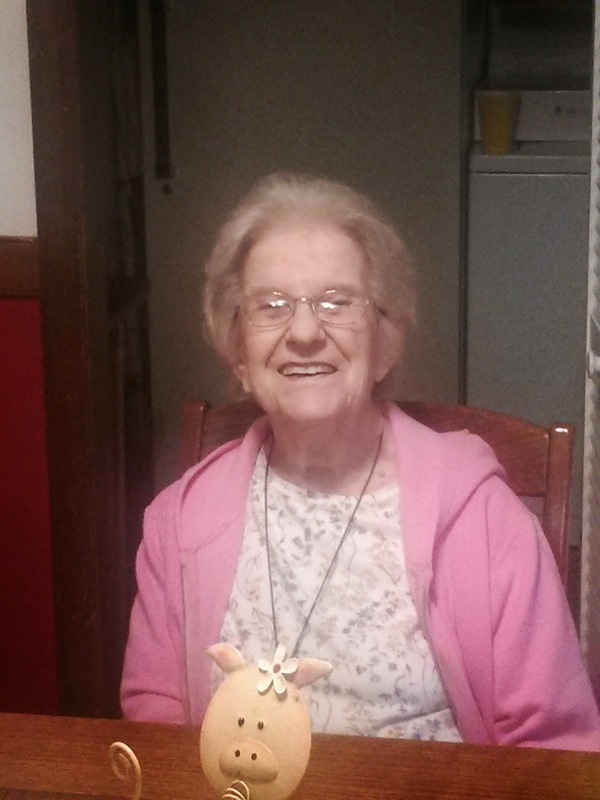 None of us can change this disease of Alzheimer’s or the sad effect it has had on her. She is lively, yet vacant. She is kind, yet reserved. She is talkative, yet clueless. She is aware, yet at a total loss. John and I talked on Wednesday night. He said that Mom is gone. Yes, the mother that we’ve known and loved is indeed gone. What made Mom our Mom is forever gone. We love and honor this dear woman that is in our lives now, and we remember her as Mom. But she is no longer in that role in our lives. We have hope, despite the ravages of Alzheimer’s. And someday, in that better place that Mom talked about, that unfamiliar feeling will be gone……..forever!…….to be replaced with healing and wholeness and love. She’ll know us all. That one…..and that one…..and that one, too. I haven’t been doing much writing lately. Part of it is that I’ve been very busy. Gary and I traveled to Ft. Worth for Andrea’s graduation, and then to Topeka to watch Andrew in an NHRA race. But I’ll admit that another reason I haven’t been saying a lot is that Aaron has taken a lot out of me, and of Gary, as well. He’s been extra grouchy for a few weeks, and so I haven’t had the energy or the desire to sit down and write. He came in the room where I do my quiet time early one morning. “Are you ready for a good day today, Aaron?” I brightly asked. “No,” he flatly answered as he turned and walked away. And that is just how it’s been lately. It seems that he’s just decided not to have good days. Why has he been grouchy? If only we knew the answer…… Is it medicine related? One of his new seizure drugs can have irritability as a side effect. Aaron wrote the book on being irritable, trust me, so I was alarmed when I heard about that possible result of taking this drug. Is it seizure related? He had a seizure episode this past week and since then has been markedly better. Did the seizures rearrange things in that brain of his and calm him down? Who knows? Or is his grouchiness game related? Since we let him have an old Star Wars game to play again, several weeks ago, his anger episodes have increased. We can’t help but think it’s partly related to that, but how to get the game back has been an issue. Then the most amazing thing happened. When we got back from Topeka, Aaron told Gary that his game wasn’t working right. Gary sat down to have a look and found that the only thing wrong is that the hologram image in one part of the game was messed up. The image appears and the game works right, but the image has changed some and most of all…….Aaron can’t see the eyes of the hologram. To Aaron, this is beyond unacceptable. If he can’t see the eyes, he refuses to play the game. He handed the game to Gary when he saw that Gary couldn’t fix it, and that was that. No more game. What a tremendous blessing!! While Aaron was in his prolonged grouchiness he broke some things. Aaron usually breaks things that are important to him. In addition to a few items in his room that got banged up, he also broke his watch and his glasses. The glasses, of course, were the worst. He’s been wearing an old pair for several weeks as we hope to teach him a lesson. And he’s not had a watch on his wrist for awhile now. Will this teach him a lesson? That’s hard to tell, but we keep trying. Even with something like autism, we think it’s important to keep trying to reinforce positive behaviors. And there are some days that I wonder who needs that reinforcement more……Aaron or me. He was showing improvement last week, slowly, but still had a morning when he was not wanting to go to his day group. As we pulled up beside his ride in the Quik Trip parking lot, he got out of the van and voiced his anger at me for making him come. Then he took off for the store instead of getting in the other van. 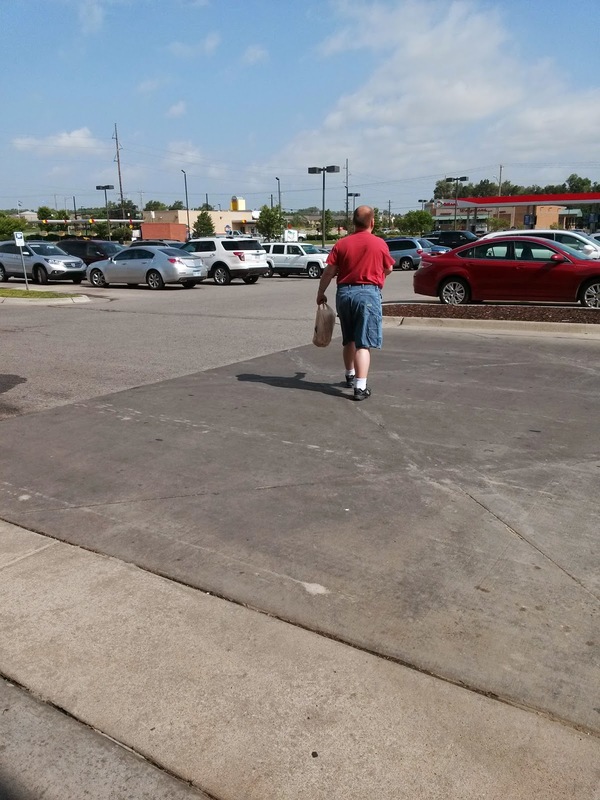 He walked all the way across the parking lot very slowly, head down and looking as if the weight of the world was on his shoulders. It was a little funny and a little sad and a lot frustrating. I have no idea what people all around there thought. It’s probably good that I don’t know. And that night, or early morning, he had his seizures and was out of commission for most of that day. But the next day, Friday, he was happy and was like our old Aaron. He was bright and funny and wanted to talk a lot. Even when I went out to the garden for an hour, I looked up to see Aaron coming outside. The grass was damp, so he just walked to the end of the brick walkway and sat down, where he could still talk and talk to me. This did my heart as much good as I think it did to Aaron’s. He had a nice weekend, too, alternating between another game he’s playing and videos he’s watching and going outside and watching taped shows and Wheel of Fortune and even a little racing. 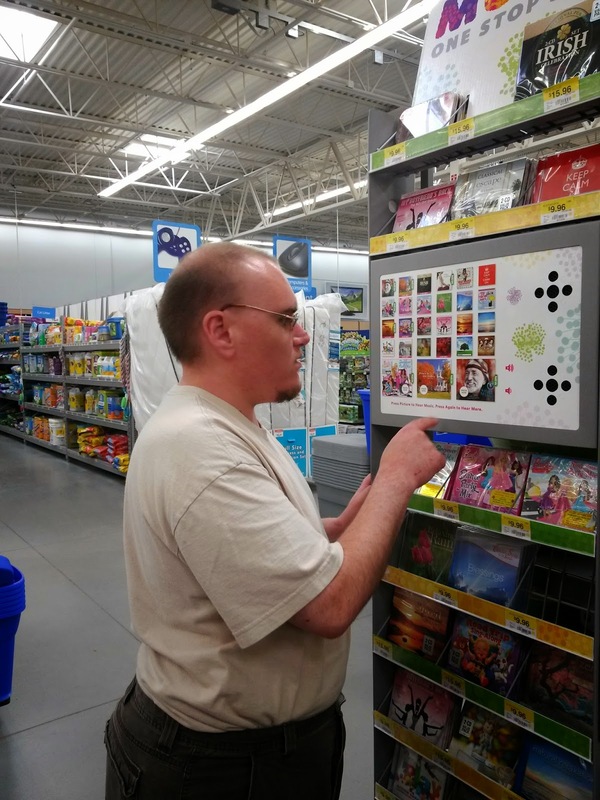 Gary and I also took him to Wal-Mart, where he couldn’t pass up the music display with the buttons that said, “Push”……….because if the button says push, then Aaron will push it, and love every single push. He also got to pick out a new watch, paid for with his own Christmas money, and is happily wearing it pushed up his arm the way he likes it. Aaron’s been watching a movie that I don’t like. He came into the kitchen on Sunday and found me watching a race clip on my notebook. He immediately started asking me to watch a clip of his movie, so I suggested that he watch some racing videos….knowing that he wouldn’t want to do that and so I could make my point. “You don’t enjoy racing and I don’t enjoy your movie,” I reminded him. I laughed and he continued. “Can I bargain you?” he excitedly asked. There’s Aaron, expressing himself in that unique way of his. Like when he saw another Eggland’s commercial. “Mom, Eggland’s say they have the best eggs. What’s so best about them?” And I laughed and nearly forgot to answer his question, put in that awesome way he has. 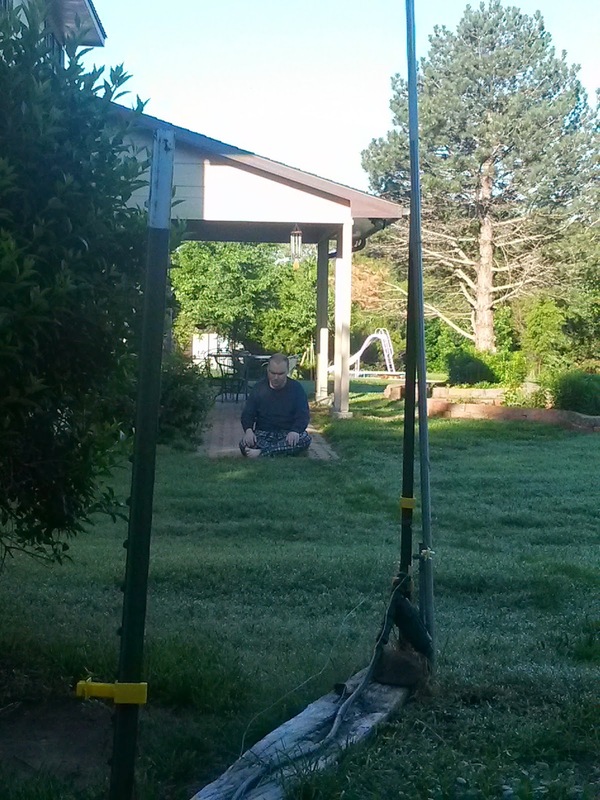 When I took him to his group on Friday, after working in the garden and having Aaron sit there like a Buddha talking to me across the yard, I was so relieved to see him still in a great mood. I didn’t even mind that he picked out his Elvis tape to listen to in the van. It’s not my favorite, but Aaron has been so unhappy lately that he hasn’t even wanted to listen to music. Very unusual! 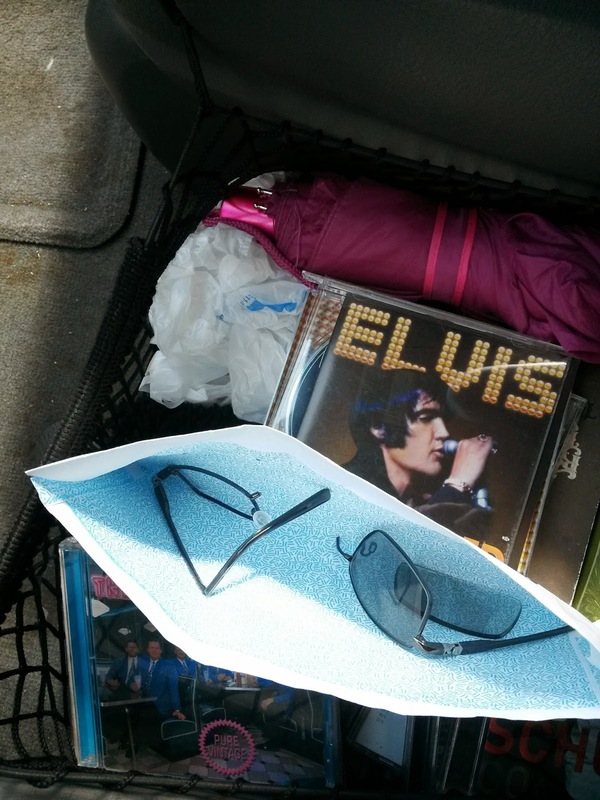 So when he wanted music, I would not have said no to Elvis………but I did change CD’s when he left the van. After I dropped him off, I drove to the eye doctor’s office. I had decided to go ahead and order him those new glasses. It was time. I know that things may change again, and that I may be doing this same thing several months from now. Picking up the pieces, repairing the damage if we can, and moving forward. It’s what all parents do. It’s what we do often with Aaron. We can’t always fix him or fix his situations. Sometimes it works out for the best, like with the unfixable computer game. Other times we try to teach a lesson in the brokenness, making him wait and hopefully learn, not knowing if he will learn or not. But we must try. The girl’s arm with a red mark? And Aaron told me that he got excited and was just playing……….and I know just what that means. Aaron’s way of playing when he gets too excited is to whack someone with those big beefy hands of his. He did that, and the poor girl had a red mark to prove it…….and Aaron had to stop having so much fun. Then later he got home and was downstairs talking to me when the doorbell rang. There stood Miss Rosa, who brings him home, and who had a question for Aaron. She had just gotten a text asking if Aaron had some keys of Barb’s, so there at our door Aaron pulled Barb’s keys out of his pocket……….keys he was just trying to guard from Victor, he said. That’s why Aaron and I just drove to Quik Trip to meet Barb and return her keys. He also showed us the mandarin orange that was in his pocket. I really do need to frisk him when he comes home. And that’s why Aaron and I were listening once again to Elvis. “Hey Judy? !” Aaron asked as Elvis belted out Hey Jude. We got to see the baby bulls in the field, and I had the rare pleasure of Aaron putting his arm around my shoulder. Things I would have missed if Aaron had just had a perfect day and not tried to guard Barb’s keys. Well, that’s the way it is. I can’t fix Aaron much of the time, though there are areas in which I do try. I’m just thankful for the days that I can enjoy Aaron……..for seeing the silver lining on the cloudy days.